LeashLocket is a retractable leash in a locket that dogs conveniently carry right on their existing collars or harnesses when you want your hands free while out with your dog. This means LeashLocket is always close at hand whenever you’re with your dog. There’s no struggling to catch your pet in unpredictable or dangerous situations and clip on a leash, because LeashLocket is right there on the collar or harness, ready to grab and go when you need it. If LeashLocket is on your dog’s collar, you can’t lose it or leave it behind, and your dog gets to carry the leash for a change! LeashLocket’s innovative design was developed over a two-year period by a team of pet product experts, making it one of the best quality, and most durable leashes on the market. The ergonomic locket contains a nearly 6-foot lead – the length of standard dog leashes. 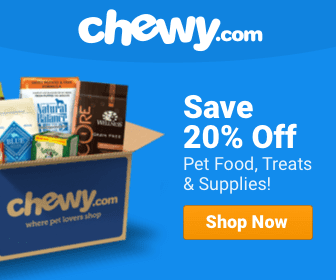 It comes in two sizes, each of which is lightweight and comfortable for your dog to wear. The small size is designed for dogs up to 55 pounds, while large is suited to dogs up to 90 pounds. It’s currently available in four colors, red, blue, black and pink. 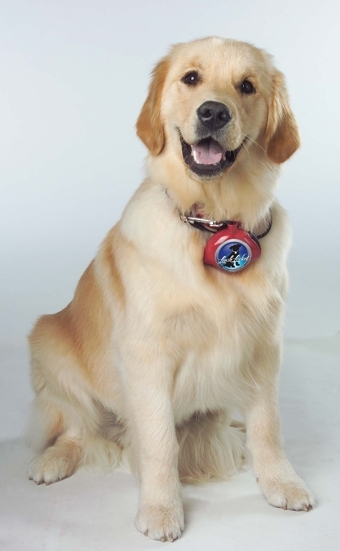 LeashLocket adds instant control, safety and convenience to every walk with your pet. It can also be accessorized with an optional wrist strap, available separately. A portion of the proceeds from all LeashLocket sales benefits pets in need through the LeashLocket ASTRO Foundation. 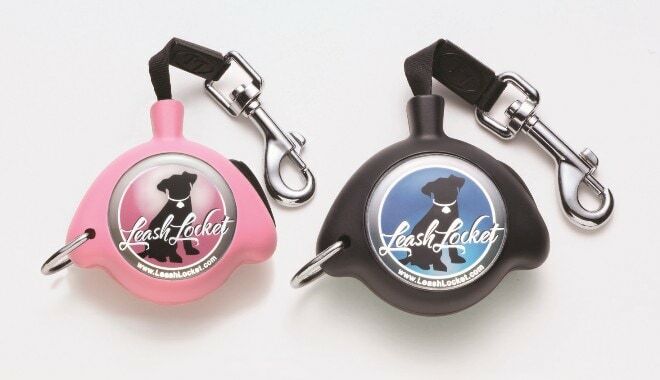 Today’s two giveaway winners will each receive a free Leash Locket by mail. As always, only those in our e-mail list are eligible to enter, and if you’re not subscribed, you can fix that in five seconds by clicking here. When your first daily digest e-mail arrives, hit reply, type the words “contest entry” in the subject and send (current subscribers can reply to today’s digest). We’ll use random.org to select winners, who will be notified by e-mail. Entries will be accepted through midnight Wednesday: please note that this contest is open to residents of the US only. Would love to win one of these nifty gadgets! Thanks! no dog owner knows how to use properly. The way to prevent crises that require the dog be leashed is to keep him leashed in the first place. Sookey I think the idea would be as backup or by the door. If leash breaks then it’s there to grab for insurance? Also when opening your front door so your dog doesn’t take off if it sees another dog walking down the sidewalk. Here’s a life saver for you & your ‘Best Friend’! WISH this was available for Canadians,too!